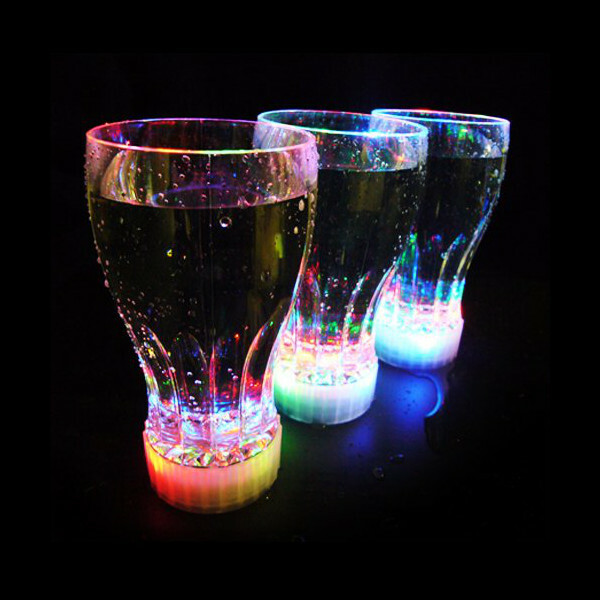 First there were party drinks, then there were body lights / blinkes, now we bring you our 11 oz LED Light-Up Beverage Cup, the ultimate light-up party favor! 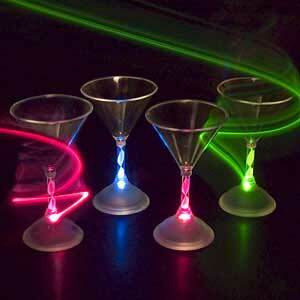 Imagine holding a luminous drink cup in your hand, where the whole cup, and the beverage inside, spin with many colorful lights! 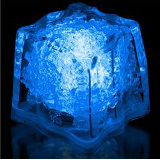 Light-up 11 ounce glass, made of a high quality, safe, clear acrylic, with replaceable batteries. 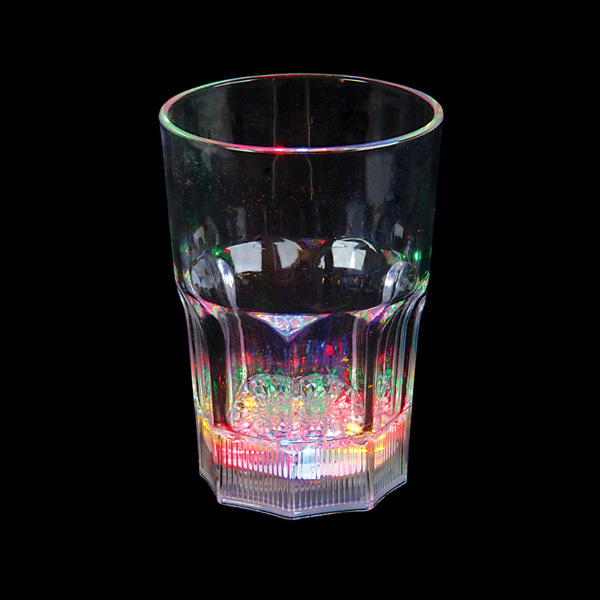 Five multi-colored chasing LEDs light up the entire glass and the beverage. 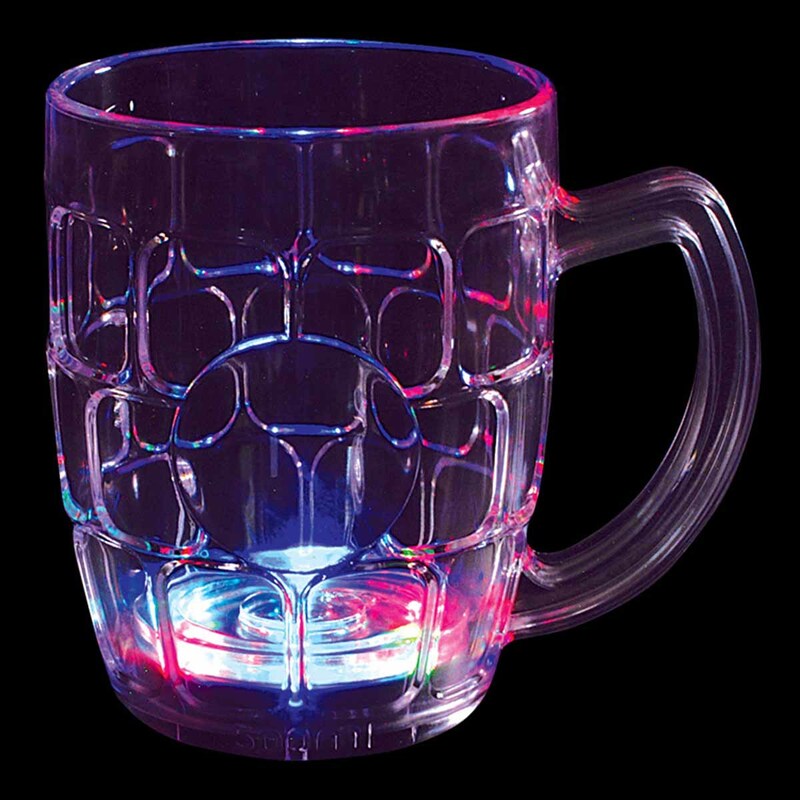 This ultra-bright LED flashing cup is sure to liven up any party! Batteries included and installed. 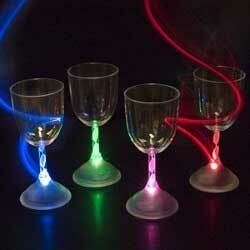 These will be the talk of the party and a must for every party goer! easy to replace button style battery will make this cup last for a long long time. The perfect playa cup. Holds a variety of beverages. 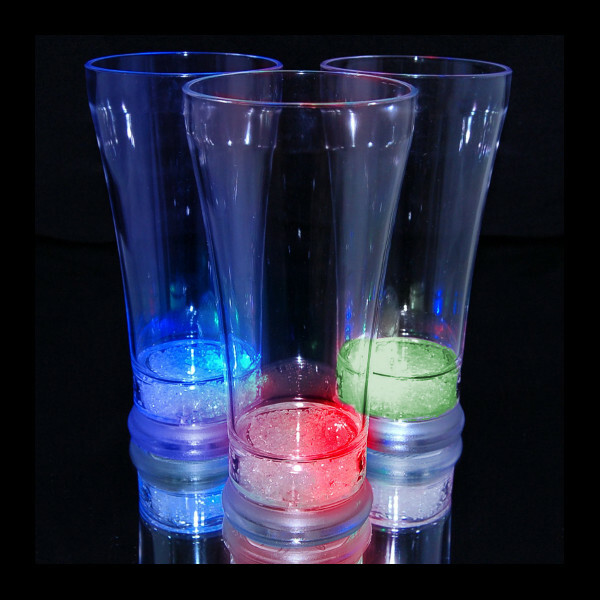 Blinky lights help identify and retrieve your drink in the dark, as well as providing a valuable safety beacon! Get one for everyone in your camp at Burning Man festival!